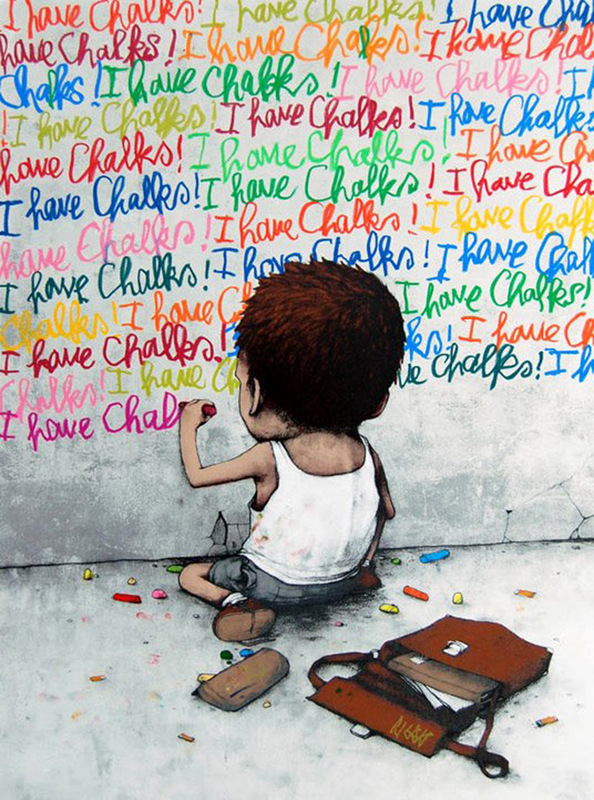 Dubbed the "French Banksy" due to his similar approach to street art in terms of tone and message, multi-talented artist Dran uses a variety of media such as installations, paintings and drawings to convey his ironic viewpoint and his style looks nothing like the British artist. 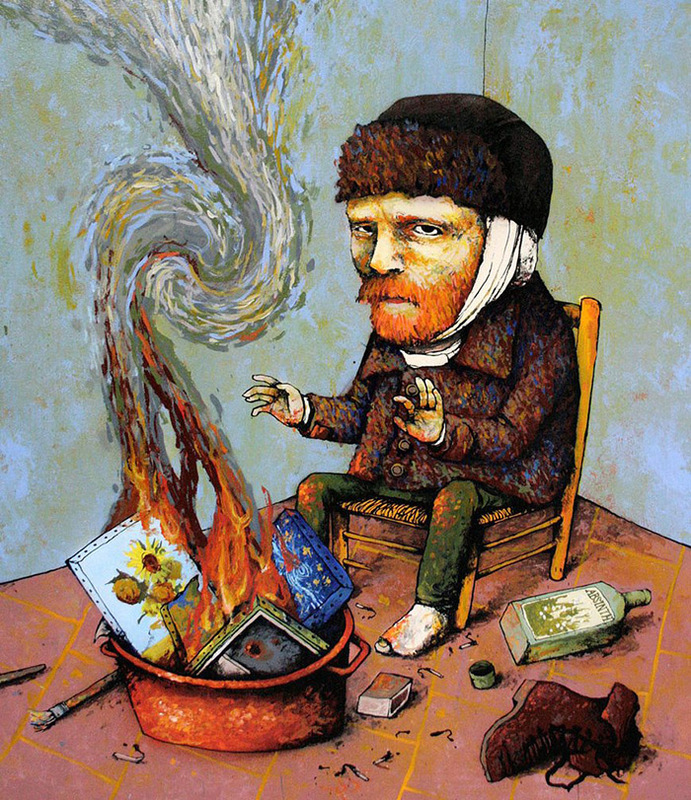 His dark sense of humor criticizes modern culture and tackles topics concerning art, creativity, and freedom of expression. 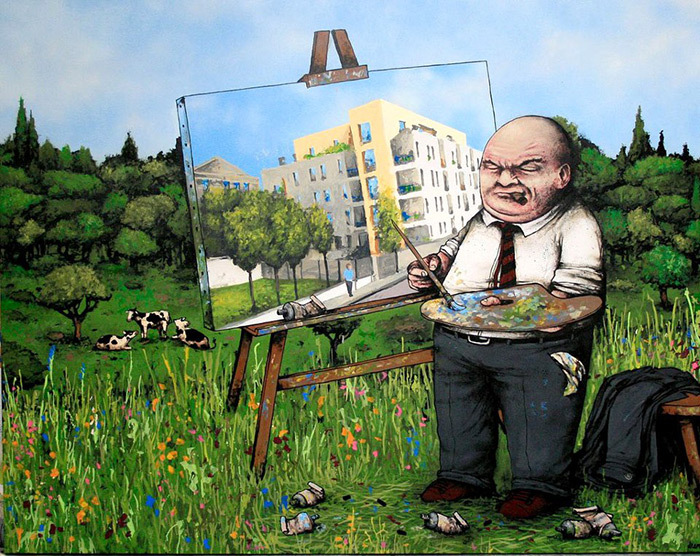 Dran presents hard-hitting issues such as environmental destruction, failed marriages, overconsumption and waste in a whimsical manner while still retaining the heavy message. 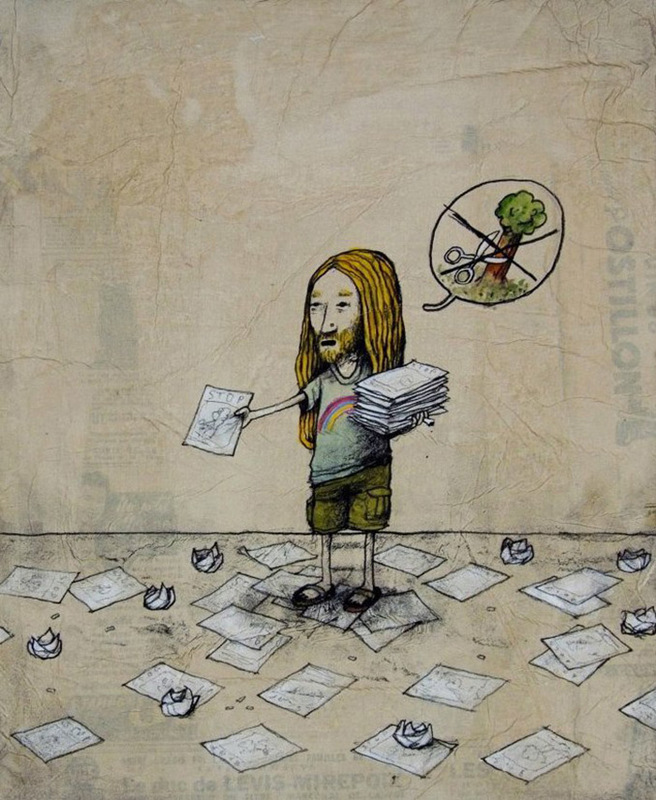 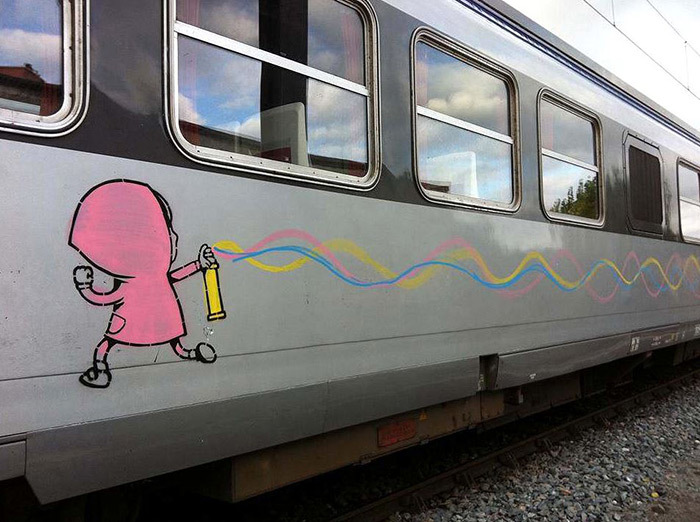 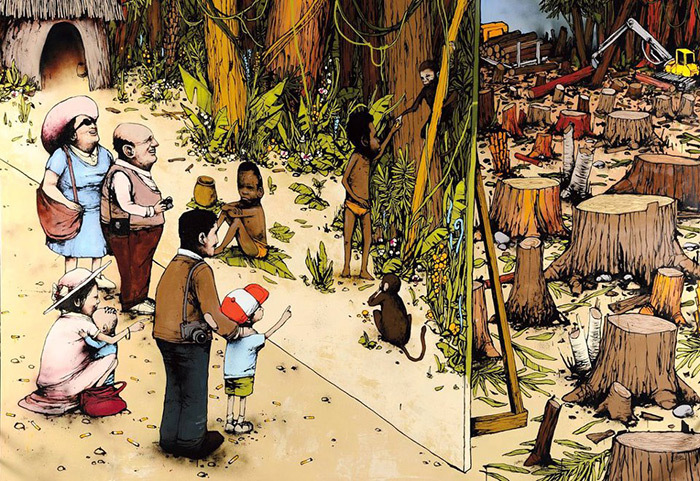 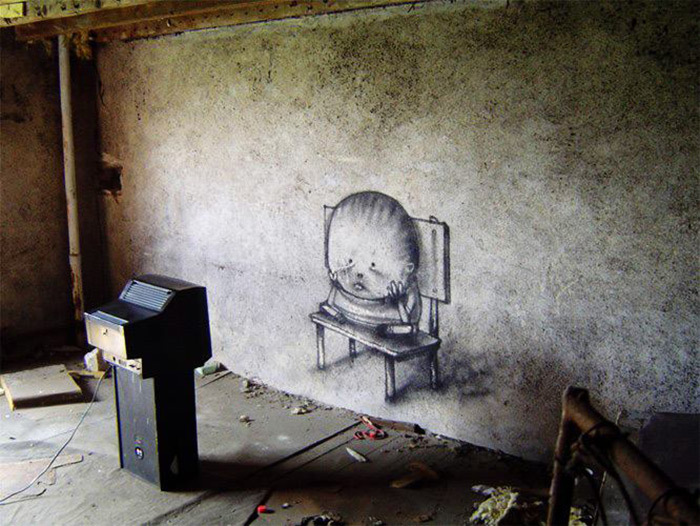 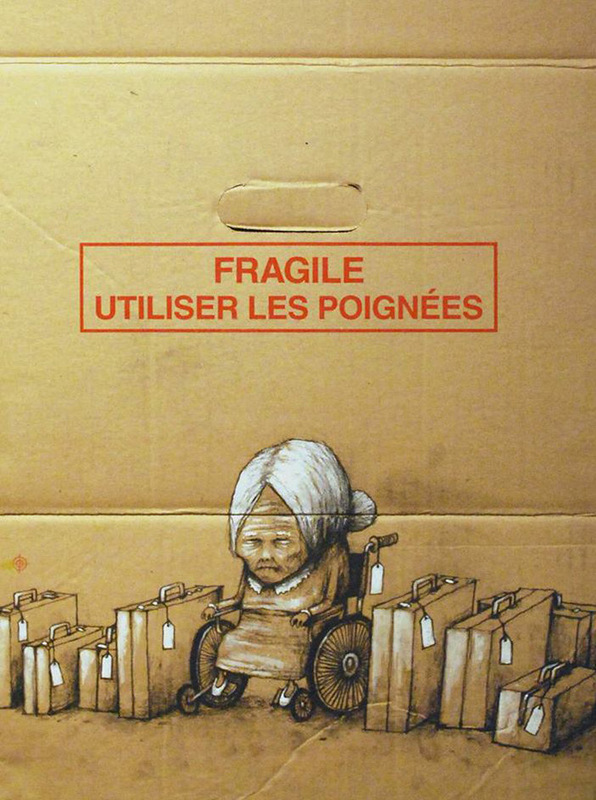 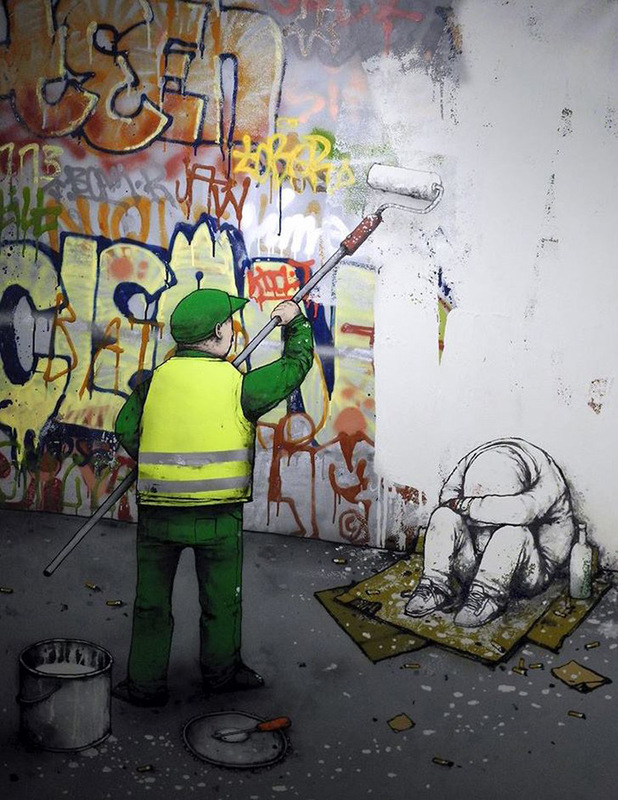 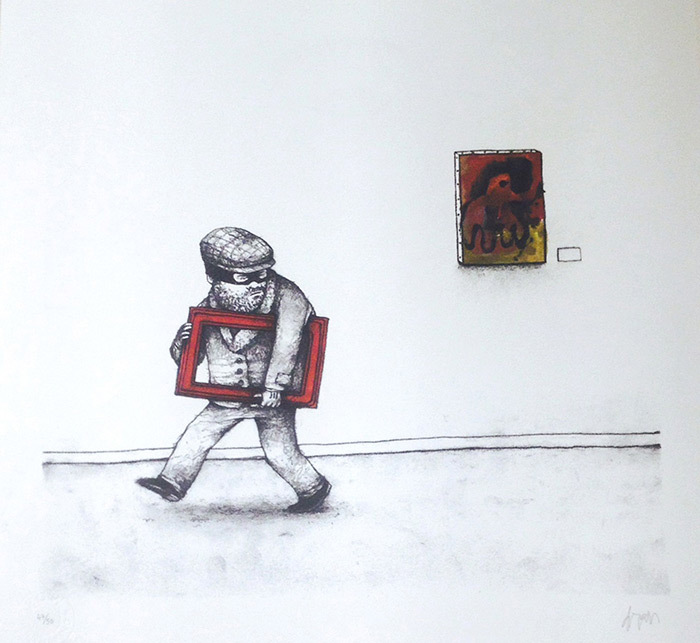 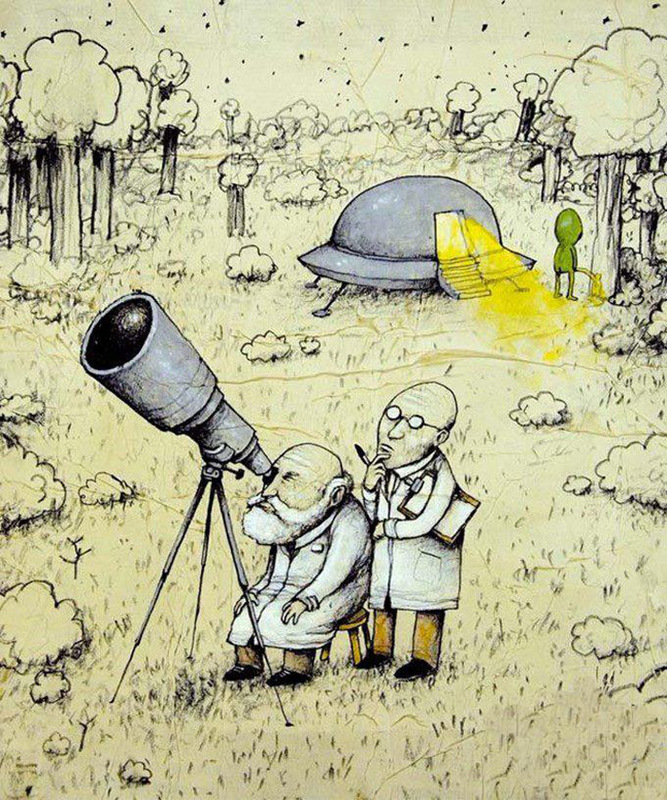 You can see more of Dran's work here. 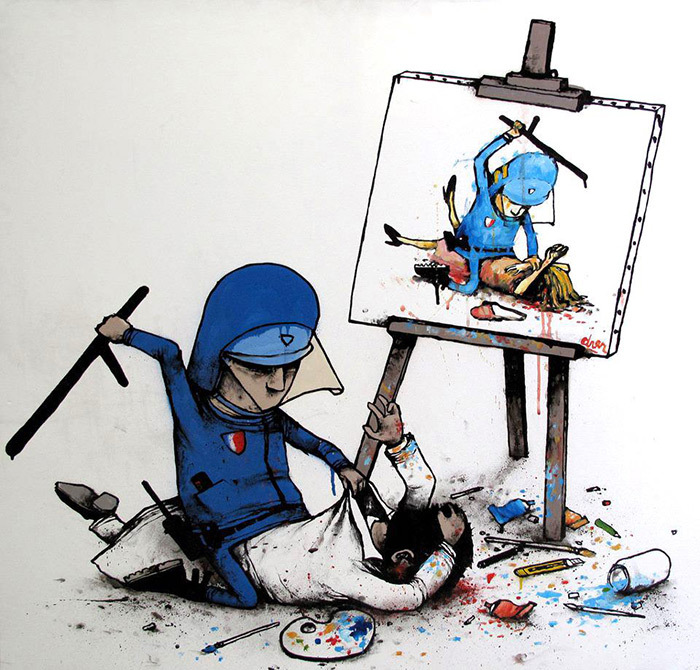 Dubbed the "French Banksy", Dran uses a variety of media such as installations, paintings and drawings to convey his ironic viewpoint.